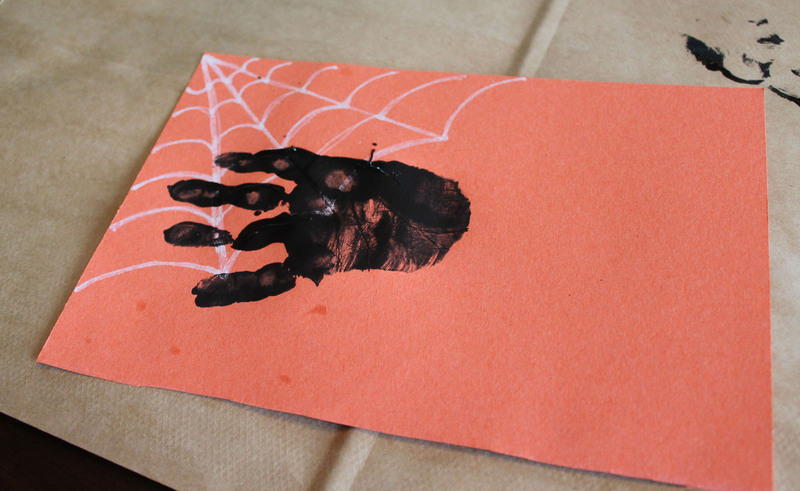 My daughter’s preschool class is having a Halloween party and I’m in charge of coordinating one craft for the party. 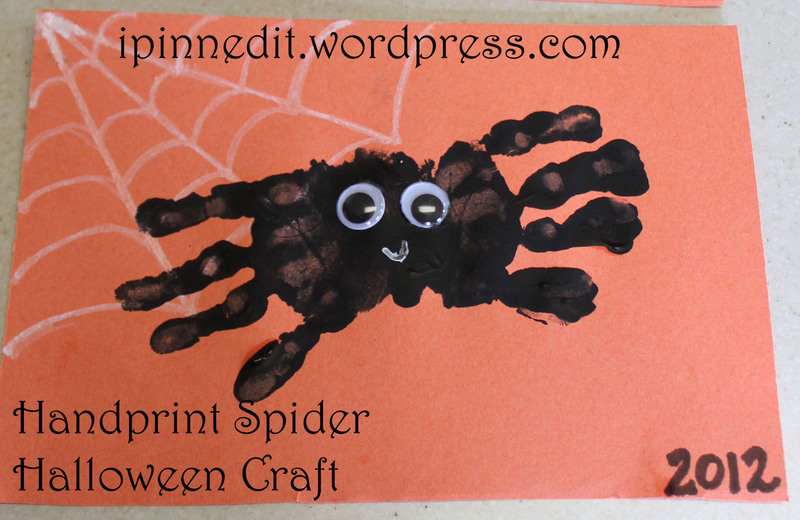 I searched Pinterest for some cute ideas and decided on this adorable hand print spider. I decided to try it out before the party. The girls enjoyed getting a little dirty. I’d recommend rolling up the sleeves and having a bunch of baby wipes on hand for the mess! 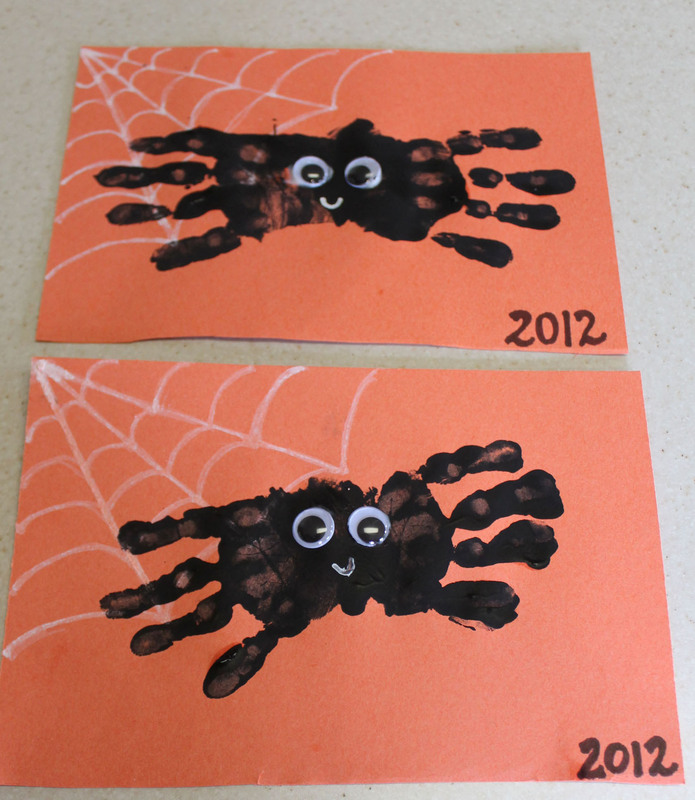 For the party, I went ahead and cut all the paper, drew the spider webs, and wrote in the year. 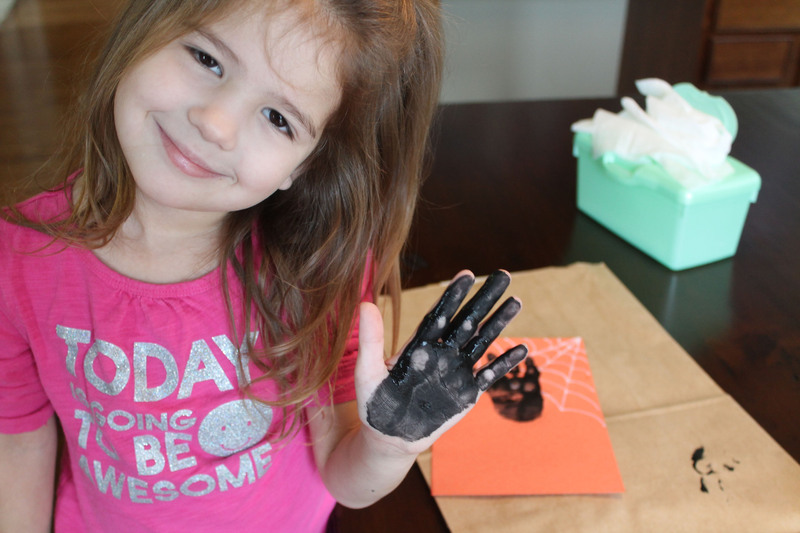 All the kids will have to do at the party is stamp their hand prints and add the googly eyes. 2.) Scissors or paper cutter. 3.) 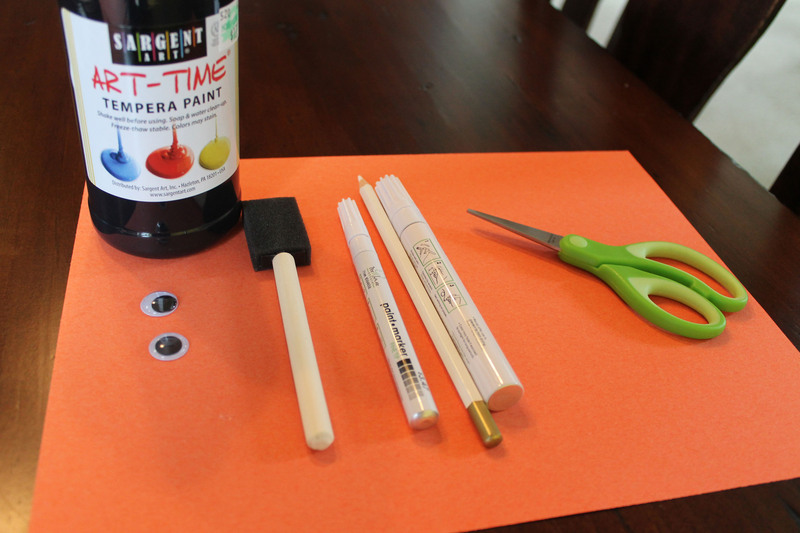 White colored pencil, crayon, or paint marker. 1.) 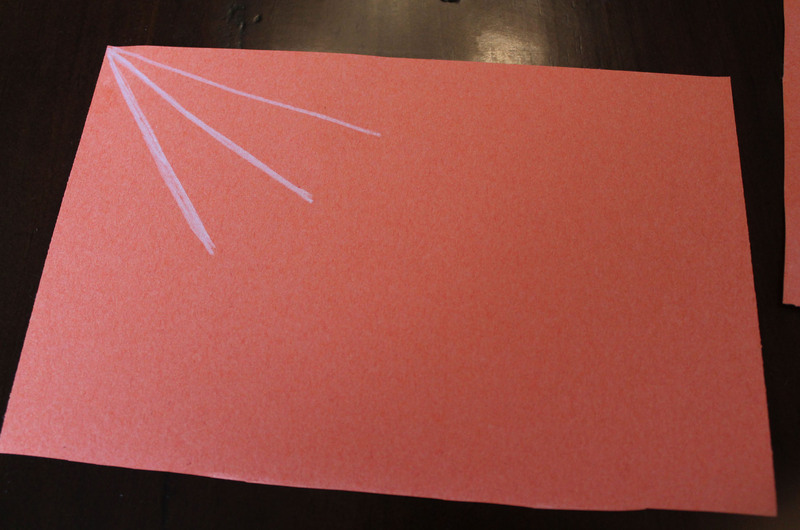 Cut a piece of construction paper in half. 2.) 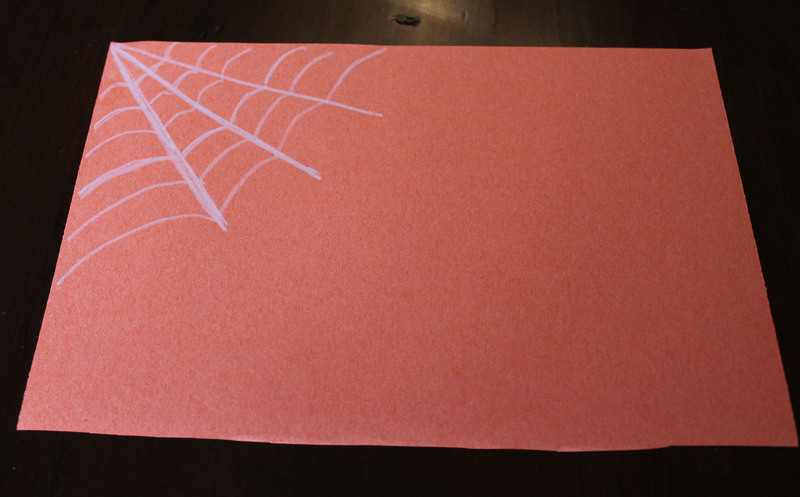 Using a white writing tool, (I used a colored pencil) draw a spider web. 3.) 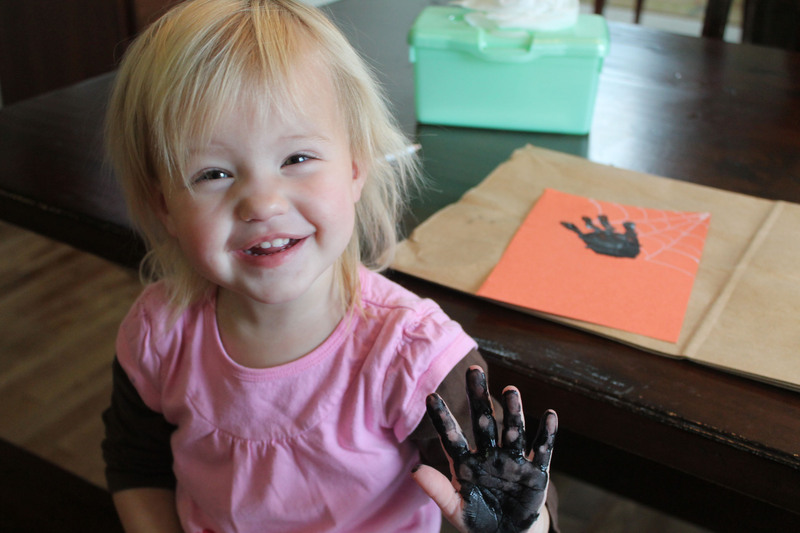 Cover your child’s hand in black paint (do not paint the thumb). 4.) 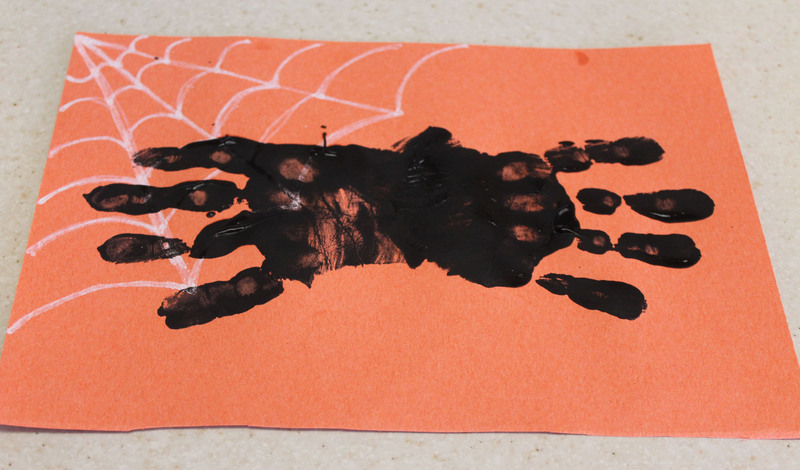 Carefully place your child’s hand on the paper, partially covering the web. 5.) Repeat with the other hand. When you stamp the second hand, overlap part of the palm. 6.) 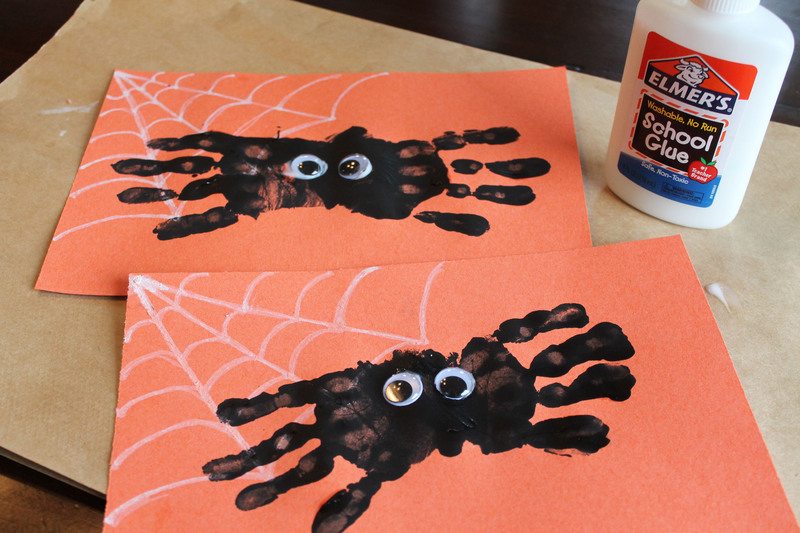 Glue two googly eyes on the spider. 7.) Once the black paint has dried a bit, you can draw on a smiley face. 8.) Add the year and your child’s name to the bottom of the paper. I added my kids’ names after I snapped the picture!